I recently came across my old Bar Mitzvah record, the large red 78 RPM vinyl disc the cantor made expressly for me back in 1963 to help me prepare for my Bar Mitzvah. It was stowed away in a box full of other 78 RPM records featuring the likes of Bugs Bunny, Mickey Mouse, Cinderella, and all the other favorites of a childhood spent in the 1950s. The crowning glory of the box, however, was neither bunny nor mouse but my complete collection of Lone Ranger records. 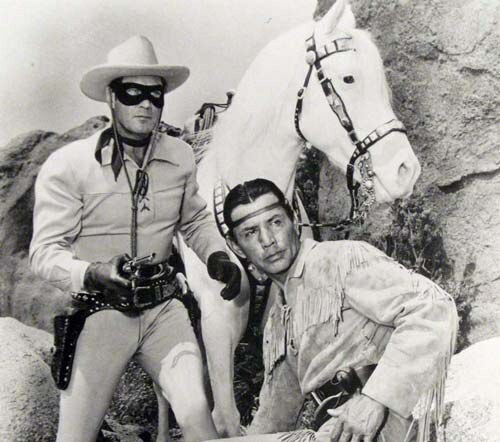 Together they told the entire saga of the Masked Man of the Plains starting with the origin story, He Becomes the Lone Ranger, to the finale, He and Tonto Retire to Play Golf, or something like that. My Bar Mitzvah record was also very special. 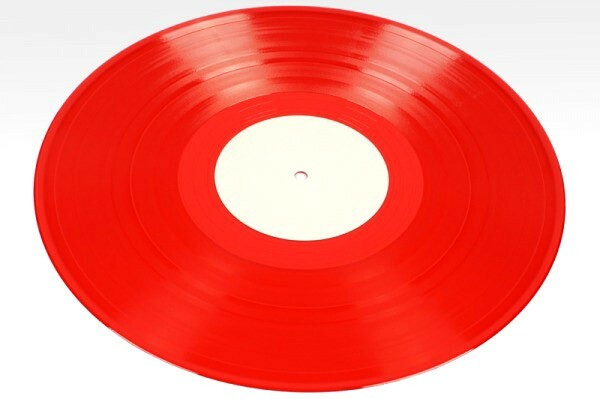 First of all it was red, so it stood out boldly among the other black vinyl 78s that spun around the slender silver needle of the record player so rapidly you almost expected them to fly off into space! Secondly, and most importantly, the cantor referred to me throughout the entire record by my own name. "Perry," he would intone, "this is your portion of the Bar Mitzvah service. Practice it carefully!" "Perry," he would go on,"repeat after me: BARCHU ET ADONAI HAM'VORACH ..."
"And now, Perry," he would counsel at record's end, "if you practice every day with the record you will do well at your Bar Mitzvah and honor yourself, your family, and the Jewish people. If you fail to practice, on the other hand, God will smite you!" A fiery horse at the speed of light, a cloud of dust, and a hearty 'Welcome to My Bar Mitzvah, Mr. and Mrs. Silvers!' ... THE LONE BAR MITZVAH BOY! "Twelve year old boys in the West faced many dangers," the staunch and stolid-voiced narrator would intone. "There were savage beasts, unfairly treated Native Americans (cleaning up the original language), and the Butch Cavendish Gang, whose sole purpose was to disrupt the Bar Mitzvahs of nice Jewish boys throughout the West, and in the Philadelphia suburbs as well!" Butch Cavendish would then shout out "Stop that wagon train of Bar Mitzvah Boys! Don't let them practice for the service!" And the Cavendish Gang rode off leaving the six Bar Mitzvah Boys for unprepared! "Now, Kemosabe, repeat after me: BARCHU ET ADONAI HAM'VORACH ..."
Finally, after many days and nights of arduous practice, the Bar Mitzvah Boy was prepared. He said to Tonto: "Thank you, Tonto, I'm completely ready now for my Bar Mitzvah service. There's just one thing." "From now on, I must always wear a mask!" "So that I can go after Butch Cavendish and he won't know who I am. Also in case I do happen to screw up before several hundred thoroughly disgusted friends and family in synagogue." "I see, Kemosabe. Meshuga, but I see." THE LONE BAR MITZVAH BOY!" And the Lone Bar Mitzvah Boy went on to capture Butch Cavendish and to not screw up at his Bar Mitzvah service, although he didn't exactly come off as any High Rabbi at Jerusalem either. And then, not too long after all of that, my large red 78 RPM Bar Mitzvah record got put away in a box along with my complete collection of Lone Ranger records and the other 78 RPM records of Bugs Bunny, Mickey Mouse, Cinderella, and all the other favorites of a childhood spent in the 1950s. "He's riding off," the synagogue folk would say, "who was he? We wanted to thank him." "Why, no need for thanks," the rabbi would tell them. "He's the LONE BAR MITZVAH BOY!" "BYE-OH, MR. AND MRS. SILVERS!" Instead of using guns, you just killed 'em with bad puns, right? I killed them with bad Hebrew actually. Does anybody remember those old Lone Ranger records? I looked for something on You-Tube but could only find one video of some guy acting out the origin record. I fear this post doesn't work for anyone who's never heard them. Or heard my Bar Mitzvah record for that matter, which really limits its appeal. In any event, Russell, thanks for commenting!